1. To get Shailene Woodley’s hairstyle, apply a shine serum to damp hair and blow dry using a paddle brush. Pull your hair taut to make sure it stays straight. 2. Pull your hair back and pin it against the nape of your neck with bobby pins. 3. 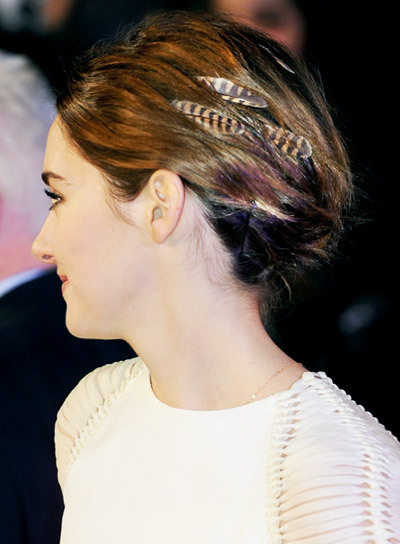 Slide a few feather accents into the side of your updo. 4. Finish with a strong-hold hairspray. 1. 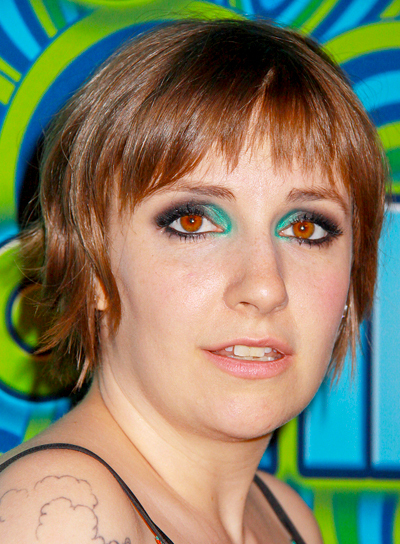 To get Lena Dunham's hairstyle, start by applying a texturizing mousse to damp hair. 2. Blow-dry your hair, then spritz with a shine spray and a heat protectant. 3. Use a flat iron to smooth over the top layer of your hair. 4. For layered styles, apply a bit of styling wax to the ends for a piecey finish. 1. 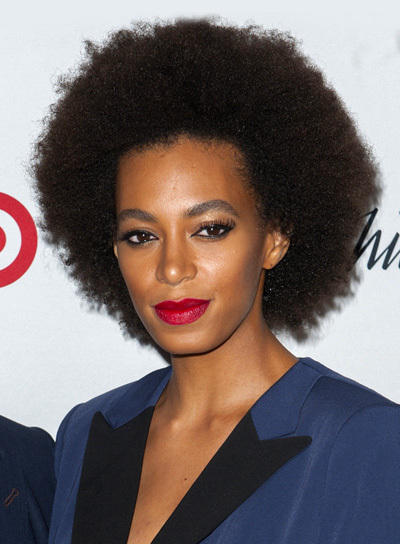 To get Solange's hairstyle apply a moisturizing serum to damp hair.2. Using a comb attachment, blow-dry your hair evenly starting from the back.3. Once your hair is dry, rub a hair oil into the palms of your hands and apply it evenly throughout your hair. 4. Use a pick to comb through any dents as necessary. Finish by misting lightly with a shine serum. Mandy Moore's short, piecy hairstyle is good for a fun, casual night out. To get the look: 1. Spray leave-in conditioner on hair, and part it to one side.2. Blow dry with a small round brush to smooth hair out. 3. Using a generous amount of hair wax, sculpt hair in directions you want it to lay. Pull out strategic pieces and wax them individually, then push them into the position you want them to lay. Finish the look with a medium-hold hairspray.